Published in Megabuyte, January 2013. Original article here (£). Posted on 02/08/2013 by Jess. 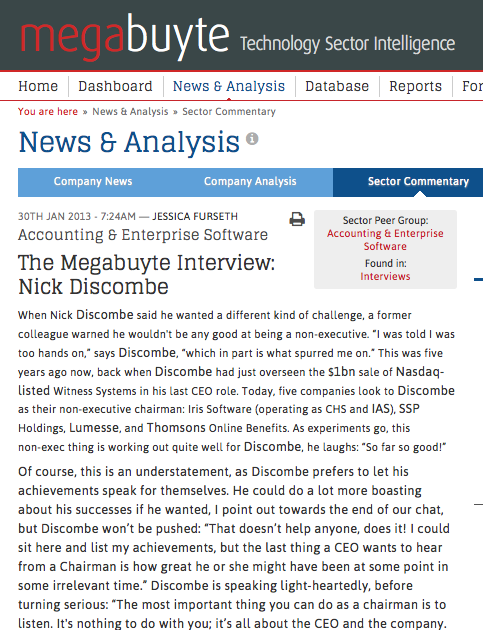 This entry was posted in Business features and tagged nick discombe. Bookmark the permalink.